Even in cases where there may not be visible damage to the teeth, mouth or jaw, you should till visit a dentist after experiencing any type of facial trauma. This is especially true for young children who are still growing and whose mouths are still developing. For example, if your young son or daughter is playing baseball with friends and accidentally gets hit in the face with a baseball bat, it may be in their best interest to visit a dentist even if they did not get a tooth knocked loose. A dental expert will be able to identify underlying issues and ensure that any damage does not go unresolved. Do Not Tear with Your Teeth – Never use your teeth open packages – grab the scissors instead! Dental health is a critical component of overall health, which is why it is so important to treat damage to your mouth immediately. 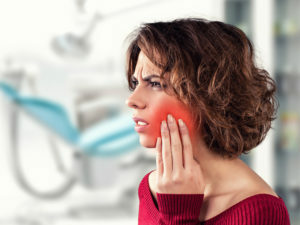 Even if the damage is not visible, never hesitate to contact a dentist in Richardson after experiencing a dental emergency or any type of facial trauma. With 3 highly-respected dentists on staff, Canyon Creek Family Dentistry is able to meet the diverse dental needs of their patients in the Richardson community. They also offer same-day appointments for patients who have experienced a dental emergency and need treatment right away. To learn more about Canyon Creek Family Dentistry, visit their website online or call the office at 972-644-3800.